For our house is the corner of our world! Cowling, set in a tranquil part of Hargraves Street, away from the milling crowds, is the home of one’s dreams. No detail has been overlooked. Cowling is within walking distance of the Botanic Gardens, one of Castlemaine’s prize jewels! A bonus for families with school age children is that the Secondary College is just a hop skip and a jump away. 1. Sacrifice nothing in this region. You’ll love the local café and restaurant scene. 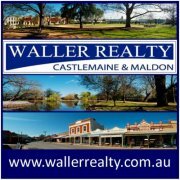 Enjoy cake and coffee, or long relaxed lunches with friends at numerous eateries in Castlemaine, Maldon and Newstead. Experience the culture and history of this old goldfields area. Engage in the State Arts Festival. Visit local gardens for inspiration or simply head out bush walking along the Great Dividing Trail or along trails in the Muckleford State Forest.